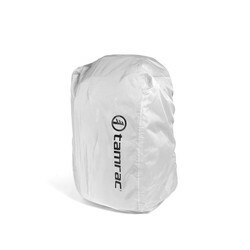 Inspired by both the beautiful but potentially dangerous cloud formations and the tougher than nails tools used by blacksmiths since the beginnings of human history, the Tamrac Anvil carries all your photography gear to the grittiest and most beautiful places on earth. Anvil was designed from the ground up utilizing over ten different optimized foams for the perfect balance of weight and protection. Anvil packs are tough, but light thanks to the engineered materials. Anvil packs features a large main compartment designed to carry multiple pro-sized DSLR bodies with lenses attached along with a full range of lenses, flashes and accessories. 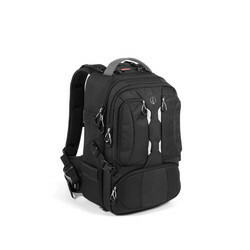 A front padded pocket holds most 15 inch laptops and exterior pockets hold accessories. 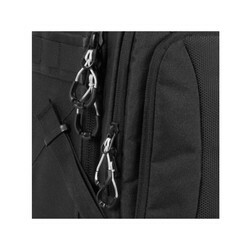 Carries a tripod with quick release straps. Comfortable airflow harness and removable Arc and M.O.L.L.E. 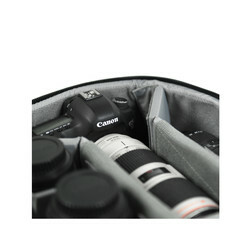 compatible belt system makes any amount of gear easy to carry. The Anvil Slim packs are 4cm less deep to better accommodate DSLRs without batter grips and full featured mirrorless systems.